Ready to plan your next season of RV travel? Or are you interested in taking the plunge and living in your RV full time? You’re going to want to know how much to budget for your overnight stays. In this article, we’ll take a look at some real-life examples and the factors that affect average costs. We took a look at campgrounds across America to see what kind of prices were on offer. While there are variations in price, depending on the season, the location, and your needs, we found that between 25 and 80 dollars was the standard range in most places. A lot of the prices were around the 50-dollar mark. Here are a few examples, valid in 2019. Includes electric hookups, free Wi-Fi, live entertainment, and bathhouses. Rates based on 2 guests—each additional guest over the age of 6 years will cost another 6 dollars. Winter rates (November 1–March 31): 44.25–60.09 dollars per night, depending on whether you want a sewer hookup and if you are using 30 or 50 amps. Summer rates (April 1–October 31): 49.27–65.55 dollars per night, again depending on your amperage and hookup needs. Includes pool, hot tub, Wi-Fi, cable television, pavilion, and accommodates vehicles up to 34 feet in length. Winter site rentals begin at 46 dollars per night—larger RVs, pull-through sites, and greater amperage needs will cost you more. Amenities include 50 sites, dump site, free Wi-Fi, laundry facility, security, handicap accessible. 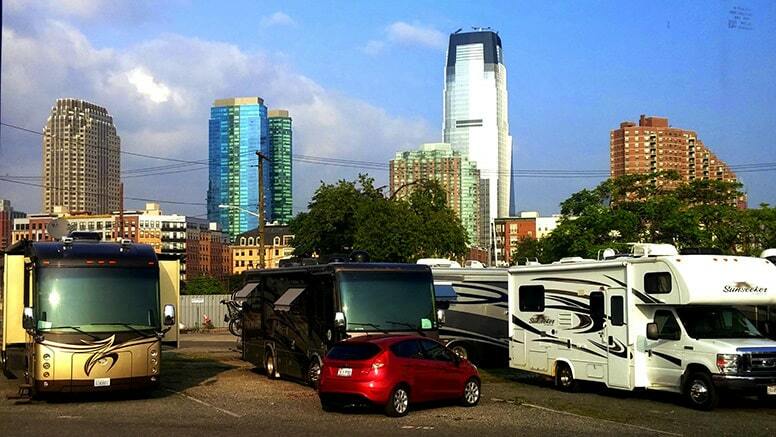 The closest RV park to New York City. RV sites are 45 feet long—if your vehicles exceed this space you will need to pay 30 extra dollars a night for overflow parking. If you have more than 6 in your group, each additional person will cost 10 dollars per night. An RV site here will cost you 99 dollars a night, plus tax. Facilities include cabin rentals and tent sites. RV site rates begin at 40 dollars per night for 2 people—each additional person will be subject to a fee of 4 dollars per person. Discounts are available for Good Sam, ANWB, TCS, ADAC, AAA, those actively serving in the military, and veterans. Amenities include extended stay options, heated pool and spa, remodeled clubhouse, Wi-Fi access, showers and restrooms, laundry facilities, dog run, and concierge services. Located near San Diego and prime attractions, this site offers great stay options for tourists. Rates are 49–74 dollars a night for 2 people—additional occupants and pets may incur additional fees. What Drives Site Rental Prices? Many factors will play into the cost of your site. You will need to consider them all for a better understanding of what you can expect to pay per night. If you have a smaller vehicle, you can expect your average site cost to be lower. Smaller sites are easier to fit into a location and there are usually more of them. Both of these allow for a lesser price point. If you drive an extra large vehicle, there may need to be additional infrastructure in place to physically support or access the site. This, and of course, the fact that only one rent is coming in from a single spot, encourage rates to be higher. 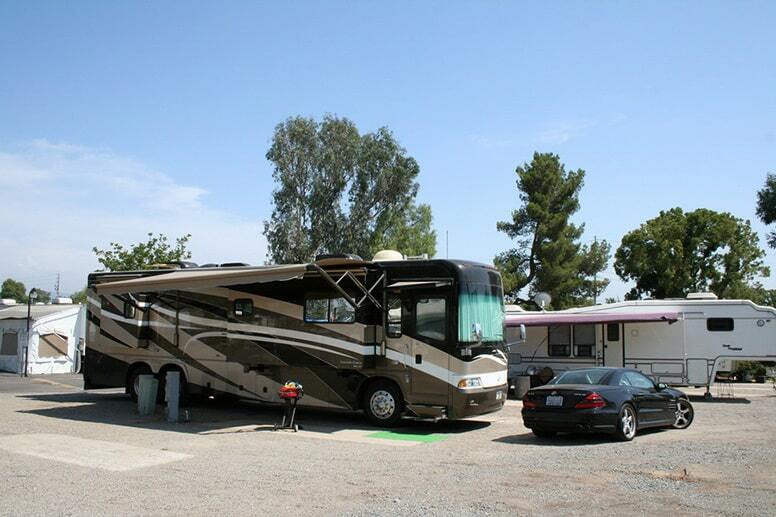 You will also find RV parks tend to have fewer large spots for the above reasons. This means those spots are at a premium. Scarcity can easily drive up the price of an overnight stay. The area you’re traveling to will influence how much your site rental will cost. If you are in a tourist-heavy area, you can expect your stay to cost you more. You may, however, find that scarcely traveled areas command a higher price. If there are fewer RV parks available, sites can easily become more expensive. After all, there’s little competition and there are fewer vehicles passing through to support the business. If you’re looking for the best rates for your nightly stays, plan and book ahead of time—well before you set out on your trip. You’ll have access to all the information you need, and can tailor your drive and trip around your preferred options. Traveling during peak season will have you paying more for your site rental. If you travel during the off season, when guests are few and far between, you should be able to take advantage of site rental deals. Look closely at where you’re traveling and when their peak dates are. You may find moving your trip forward—or setting it back a week or two—can save you a bundle without compromising the kind of trip you had in mind. 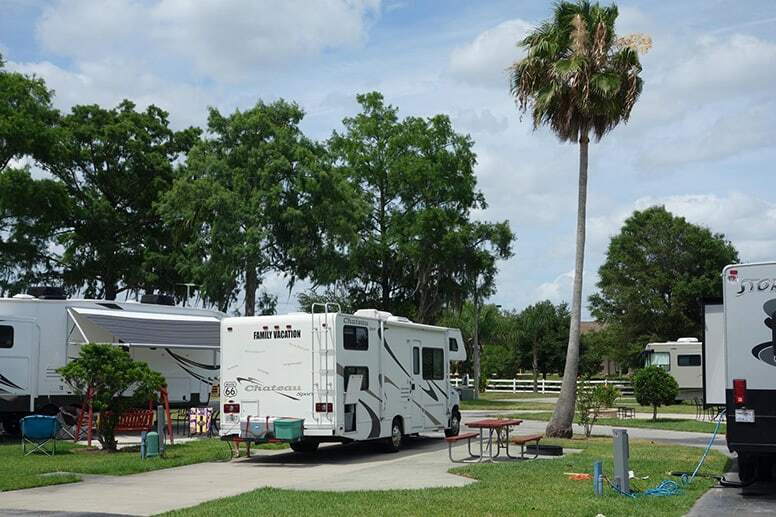 RV parks frequently offer extended stay discounts. If you plan on staying for a week or more, ask if they will offer your site at a discounted rate. If you’re staying longer, the RV park won’t need to be concerned with dead time between guests, or working to fill your site. Extended stays can be a great way to get a good deal. Take advantage of your trip by taking your time to explore the area and all it has to offer. Not only will you spend less per night, but you’ll also get the most out of your vacation. Remember, it’s not just about the final destination—it’s about all the time and places along the way. What’s Included in Your Site Rental? Before you focus on the bottom line, you’ll want to know what’s included in your rental price. A spot to park your vehicle is great, but is there a cap on water or electricity usage? Is Wi-Fi available or included? Are there any park amenities you’ll have free access to or need to pay extra for? Don’t opt for the cheapest site just because you’ll be spending less money for the site. Particularly if you’ll be paying a la carte for items you can’t live without. You may even find that cheap site is costing you more than a nicer one up the street. Think you have everything squared away and know what you can expect to pay for your site rental? You may be surprised to learn there are other factors you’ll also need to consider that can influence the cost. Some states are free from sales tax. This will likely be reflected in the cost of your overnight RV site. Just scan to the bottom of the next receipt you receive. If you’re in a state that has a sales tax, you’ll see the taxes you’re required to pay. Both sales tax and income tax differences may be passed along to you as a customer. Keep this in mind while traveling, and before long you may have your own favorite states to stop and stay in. Will you be parking at a bare-bones facility or RVing in style at a resort? 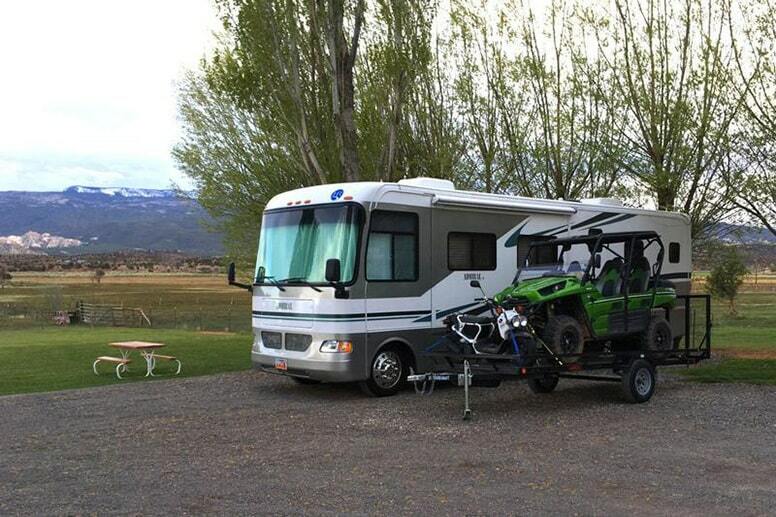 Not all RV rentals are created equal. Don’t be fooled into thinking that 25-dollar spot will have offer the same facilities you would find in a 100-dollar spot. Whether it’s a pool, a washer and dryer, community-style gyms and lobbies, or transportation, the amenity you’re looking for is out there. 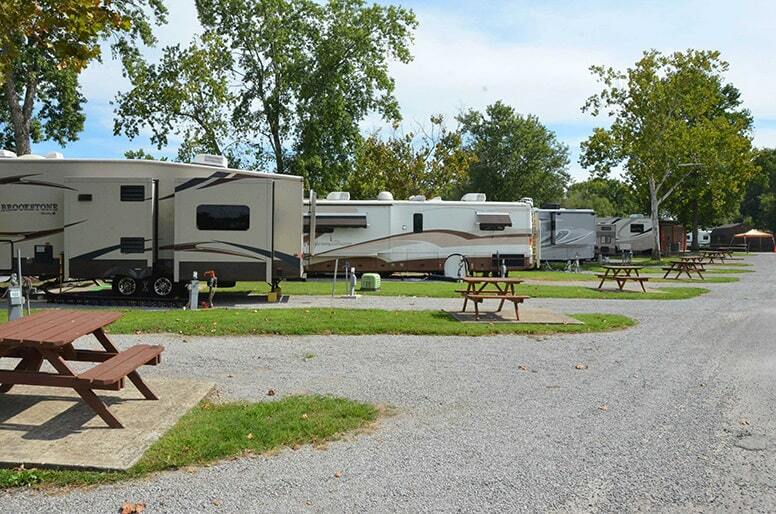 The more amenities an RV park offers, the more you can expect to pay for your parking site. After all, you aren’t just paying for the spot—you’re paying for access (and maintenance) of all the other utilities as well. If you plan on arriving late and heading out early, you’re probably safe to skip the amenities-laden resort spaces. But if you’re looking for a true vacation experience, an RV resort can be a great way to do it. Just like the prices you can expect to pay at a restaurant are shaped by the local economy, so too are the prices at the RV park. If you’re in a state—or visiting a part of the state—where the cost of living is high, your rental will likely be high as well. The local economy supports the rental site at that price point and it’s likely the RV park needs those rates to stay in business. 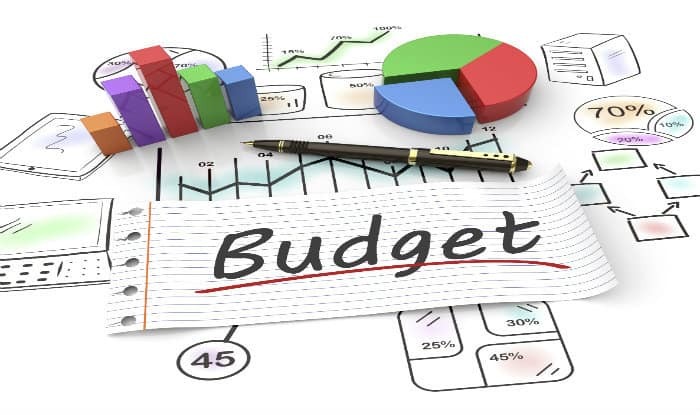 If you are in a lower cost of living area, you can anticipate your RV site rental will cost you less as well. 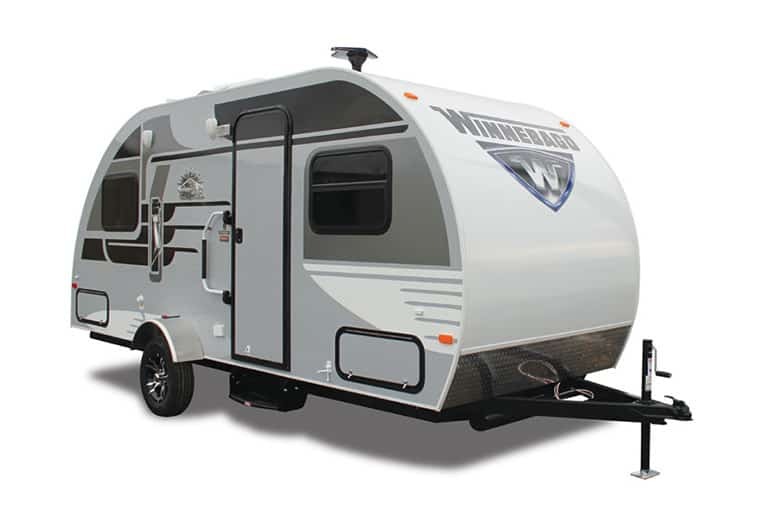 RVs come in a wide variety of types. The larger and more complex they become, the more likely your rates for an overnight stay will increase. Prices for RV sites will likely be most affordable if you’re driving a small, simple, vehicle with few hookups. 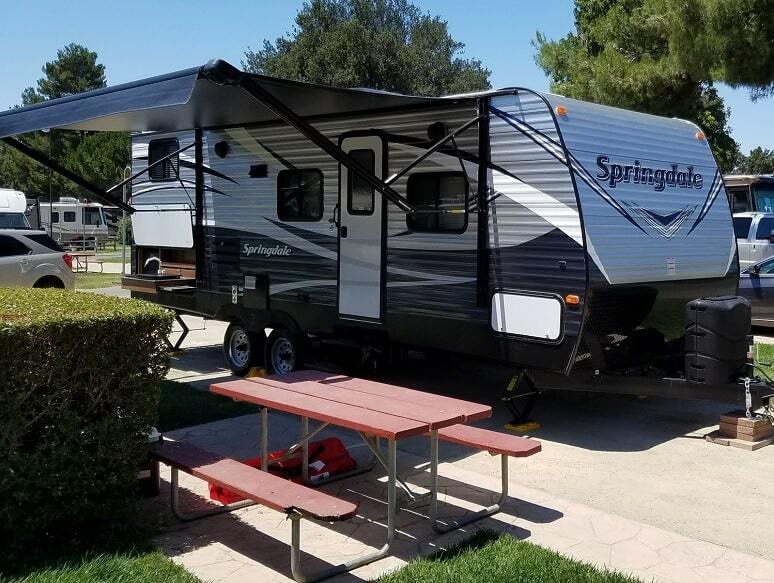 If you’re driving a larger RV, especially one with sliders, numerous hookups, or special needs, you can expect your site rental to be greater. Traveling with a large group? Just like when staying in a hotel room, many RV parks have an expected occupancy for their site rental. If you have more members than their standard, you may be expected to pay an additional fee per person in your party. Some RV parks may also have an additional fee for any pets traveling with you. This may be the case even if they are indoor only pets. Double check at the time of booking, to make sure you won’t be paying any hidden fees. Remember that some parks will have a limit on the number of occupants on one site. Others may not allow pets at all. Confirm this before booking, to avoid disappointment on arrival. Looking to get the most for your money when it comes to your RV travels? These tips will help you get off to a great start. Take advantage of the off season—just because the area isn’t as heavily traveled during these months, doesn’t mean it won’t have an incredible amount to offer. Take your time and fill up less—your gas consumption will be less if you travel at lower speeds. Avoid travel (and frustration) during rush hours—stop-and-go traffic will have you using more gas. Don’t neglect necessary maintenance—under-inflated tires can have you burning through gas at an alarming rate. Head for mild weather—if you’re looking to save on heating costs, head south to warm weather during the cold months. Shop at the grocery store and cook in your RV—eating out soon becomes expensive, especially if you’re traveling in a group. Plan ahead and look at tolls—a cheap driving route can allow you to splurge on that nicer RV site. Research your RV parks ahead of time—make reservations early and lock in the best prices. If you’re looking on the internet and aren’t finding listed prices associated with a park you’re interested in, keep looking. While a phone call and a credit card may get you the price you’re hoping for, it’s likely that RV park will change the price of its available sites indiscriminately. Avoid being taken advantage of by doing some good, old-fashioned planning. Knowing what you can expect to pay for an RV site while on the road can help you plan the best trip possible. The average site will cost you between 25 and 80 dollars a night. You now know what some of the factors are that will influence the price, and that will help you determine what good deals are available to you. What’s your experience been while traveling? 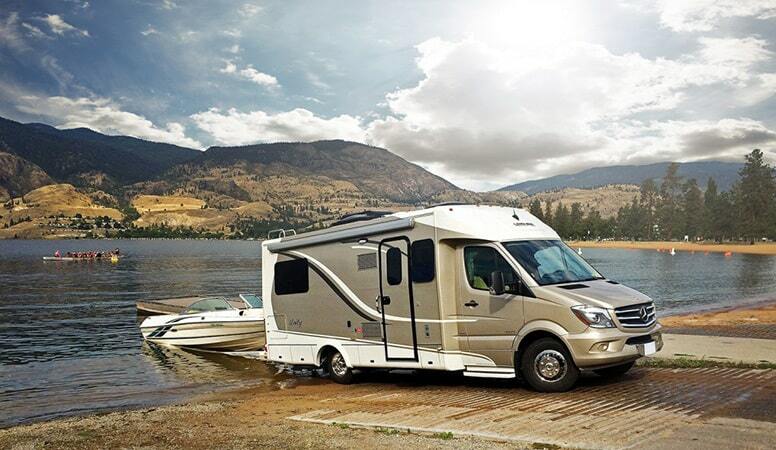 What are some things you won’t compromise on in your RV sites? We’d love to hear about it all—especially if we’ve failed to mention it here. Drop us a message in the comment section below.